Manual therapy is a specialized skill that utilizes specific hands-on techniques to treat soft tissues and joint structures for the purpose of modulating pain, increasing range of motion, reducing or eliminating soft tissue inflammation, inducing relaxation, improving contractile and non-contractile tissue repair, extensibility and or stability, facilitating movement and improving function. Manipulation is a skilled manual therapy technique to joints or soft tissues that are applied at varying speeds and amplitudes. The purpose is to improve movement and pain. It is very effective in improving neck pain, headaches, and lower back pain. Dry needling (DN) is a skilled intervention used by physical therapists that uses a thin filiform needle to penetrate the skin and stimulate underlying myofascial trigger points, muscular, and connective tissues for the management of neuromusculoskeletal pain and movement impairments. A trigger point describes a taut band of skeletal muscle located within a larger muscle group. Trigger points can be tender to the touch and can refer pain to distant parts of the body. Symptoms of a painful trigger point are commonly mistaken for other dysfunctions such as tendonitis or nerve entrapments. The formation of trigger points may result from a variety of factors, such as severe trauma, overuse, mechanical overload, or psychologic stress. An injured or overloaded muscle fiber leads to involuntary shortening, loss of oxygen supply, loss of nutrient supply, and increased metabolic demand of local tissues. Physical therapists utilize dry needling with the goal of releasing/inactivating the trigger points and relieving pain. Dry needling releases chemicals that a trigger point holds within the muscle tissue that have caused the muscle fiber to have a sustained contraction. Additionally, preliminary research supports that dry needling improves pain control and reduces muscle tension. 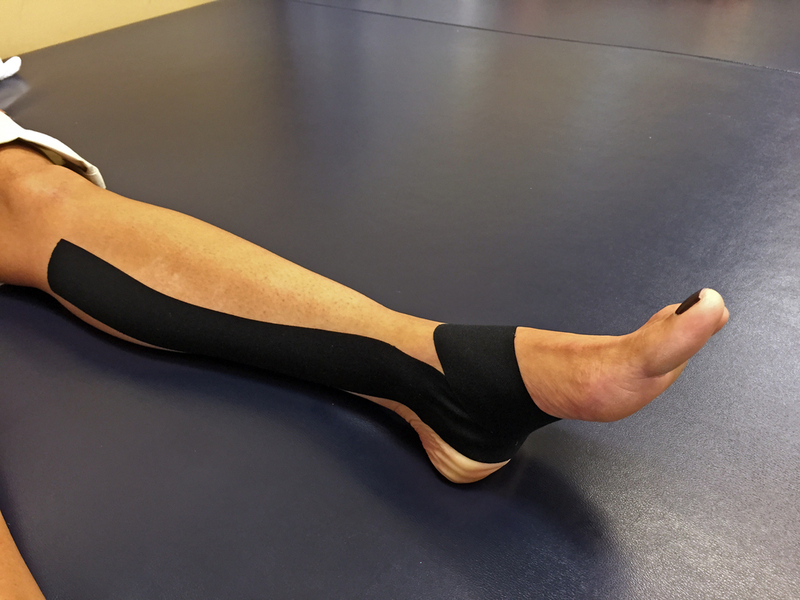 Kinesiotaping is a therapeutic taping method using uniquely designed elastic tape. It enhances the function of many different tissues, including muscles, tendons, and ligaments. It helps to treat many conditions including tendonitis, bursitis, swelling, joint pain, and muscle spasms. It is also effective in treating imbalances by helping to relax a muscle or facilitate a muscle to contract. The tape is light weight, made of 100% cotton and elastic fibers, and is latex free. Tape can be worn for 3-5 days. To help swelling and relaxation of a muscle, the tape is applied in a specialized way with low tension that gently lifts the top layer of the skin which allows improved circulation. To help facilitate a muscle contraction, the tape is applied with more tension. This results in compression to help stimulate muscles. Graston Technique is a non-invasive technique that uses specially designed stainless steel instruments to identify and treat areas exhibiting soft tissue fibrosis or chronic inflammation. It allows the clinician to get as deep into the tissue as necessary to invoke change, yet be sensitive to patient pain and tolerance. As the instruments are moved over the affected area and come in contact with the adhesions, they break up scar tissue. In time, this process will reduce or eliminate the adhered fibers, restoring motion and eliminating the pain associated with it. It will rebuild the soft tissue injury into healthy functioning tissue.